While Alicia has been busy posting about what trees are blooming and eating down our pantry, I have been busy with many other projects. 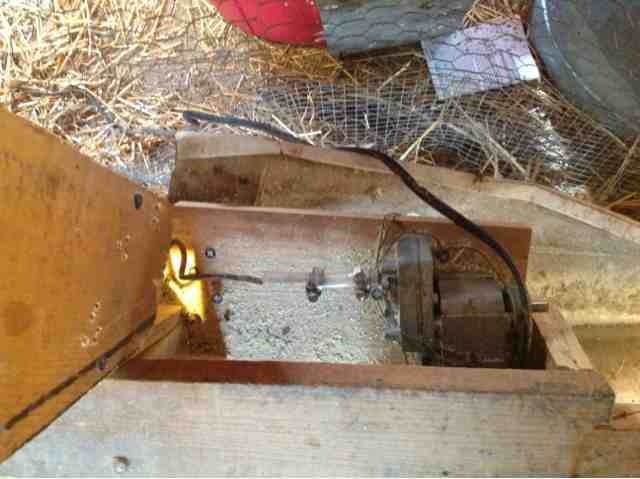 The automatic chicken feeder has long been complete and with the advice and help of family and friends it works great and can be set up to feed the chickens for a few days if we are gone. It really was a simple device to make. The only parts I bought were the flexible drive shaft (clear plastic tubing), the hose clamps and the motor. Everything else was scavenged. The one mistake I made with it though was winding the copper wire (leftover wire from grounding the electric fence to the ground rod) the wrong way. Instead of the feed coming out the end opposite the motor it comes out the side by the motor. 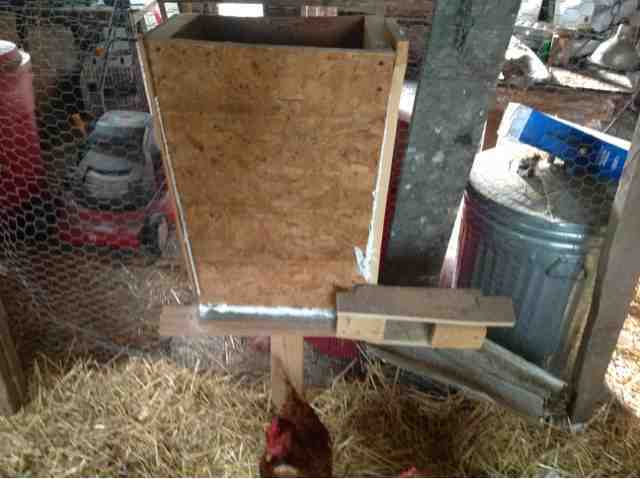 So I had to make a wood housing that just covered the motor but left spots open for the feed to fall through. One of my original problems had been that the auger would get bound up with all the feed so that resulted in installing the gutter ramp to direct the feed to a smaller area. 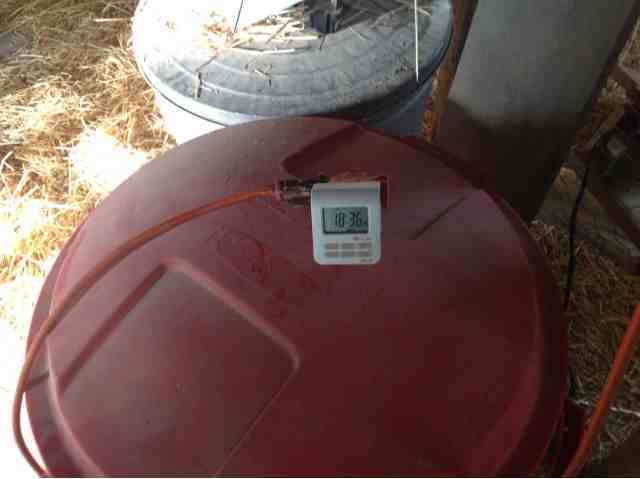 Now with a digital timer I set to turn on for 2 minutes in dispenses more than enough feed for the hens that we have. Another all winter project that just came to a conclusion was building 2 beehives. I ordered a 3 pound box of bees through Dadant and Sons. They are a beekeeping supply company. They finally arrived last Tuesday. 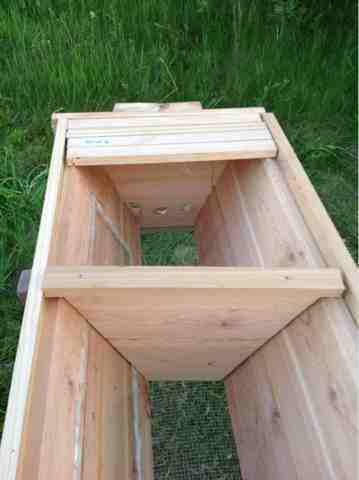 Those bees were destined to go into top bar beehive that I built. Topbar beehives are thought to be more natural than the traditional Langstroph hives. That is because the bees are not given any premade foundation and have to make all the honey comb themselves. The yield of honey is slightly lower because more energy is put into the comb but its more akin to what wild bees would do. 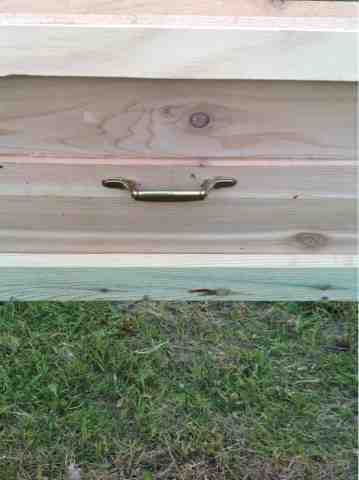 This is the beehive before any bees have been put in. This part comes off to reveal a plexiglas window that is inset into the hive. This allows for quick checks on the bees without doing any invasive inspections. 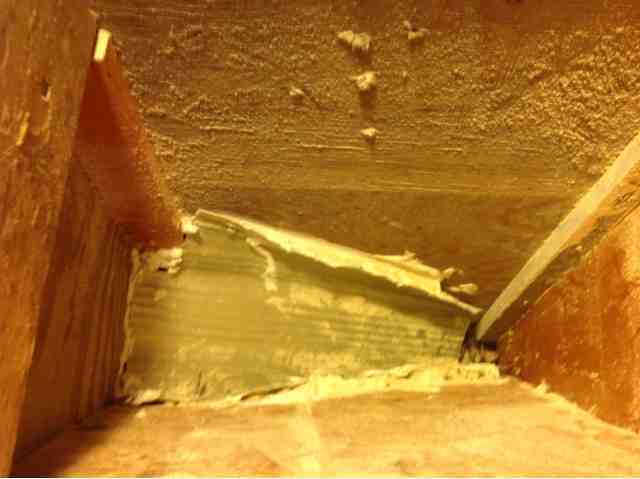 This shows the boards that they will make the comb hanging from. Also note the 3 holes at the back of. The hive where they will enter and exit from. The follower board in the center of the picture will move along the box as more bars are added as the bees fill them up. 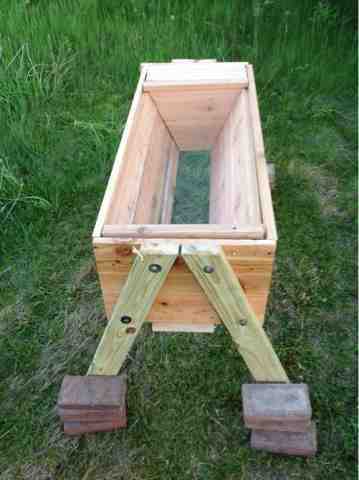 The box that the bees come in is on the ground at the left. One can see the thousands of bees swarming around and inspecting their new hive. I will post the videos that I took on YouTube soon. I also bought and just finished assembling with the help of Alicia, Colleen and Marvin a traditional Langstroph hive that I was going to take the bees that have been living in the wall of the old beer depot here at the farm. However, like many bee colonies, it looks like they didn't make it through the winter. So I might instead try to split the top bar colony once it gets more established. The bees will do a great job of pollinating all the fruit and nut trees that were recently planted and are beginning to bud out.